This made me very sad yesterday; she was such an admirable woman. I felt especially bad that she leaves a 9 and 11 year old behind. I just heard about this. Poor gal. She definitely knew how to handle life with grace. Side note (completely off subject): Remeber our discussion on younger boy crushes. Did I mention Lucas Till? She was a beautiful, intelligent woman who faced life with dignity. She will be missed. 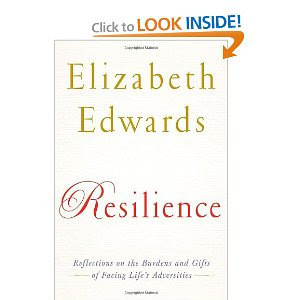 She was a remarkable woman who lived her life with a peaceful grace and dignity. She will be missed. Please stop over to Dollycas's Thoughts. You have been Holiday tagged. Thank you for posting this. 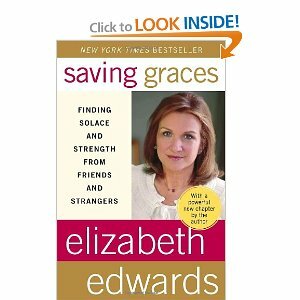 Elizabeth Edwards had such grace and an aura of gentleness. How sad that her husband made her struggle so difficult rather than stickin by her.